Manama: Saudi Arabia said it was freezing all new trade and investment relations with Canada and declared the Canadian ambassador to Riyadh as persona non grata, giving him 24 hours to leave the kingdom. The Saudi decisions were in reaction to Canada’s "blatant and unacceptable interference" in the domestic affairs of the kingdom, the ministry explained. “The Ministry of Foreign Affairs in the Kingdom of Saudi Arabia has been made aware of the statement by the Canadian Minister of Foreign Affairs and the Canadian Embassy in the Kingdom on the so-called civil society activists who have been detained and that urged the Saudi authorities to release them immediately,” the ministry said in the statement carried by the Saudi Press Agency (SPA). Last week, the Canadian government called for the “immediate release” of two women arrested by Saudi Arabia. The individuals mentioned in the statement were lawfully detained by the Public Prosecution for committing crimes punishable by law as per the legal procedures that also guaranteed the detainees’ rights and provided them with due process during the investigation and trial, the ministry said. “The Canadian statement is a blatant interference in the Kingdom’s domestic affairs and violated basic international norms and all protocols between states. It is also a major and unacceptable affront to the Kingdom’s laws and judicial process, as well as a violation of the Kingdom’s sovereignty. “Throughout its long history, the Kingdom of Saudi Arabia has never accepted, and will never tolerate, any interference in its domestic affairs or any dictation from any country. The Kingdom views the Canadian position as an affront to the Kingdom that requires a firm stance to prevent anyone from attempting to undermine the sovereignty of Saudi Arabia. “It is very unfortunate to see the expression ‘immediate release’ in the Canadian statement, which is a reprehensible and unacceptable use of language between sovereign states. “The Kingdom of Saudi Arabia, while expressing its absolute and categorical rejection of the Canadian stand regarding this matter, confirms its commitment to non-interference in the internal matters of other countries, including Canada, and in return categorically rejects any interference in its domestic affairs and internal relations with its citizens. “Any further step from the Canadians in this direction will mean that we are allowed to interfere in Canada's internal affairs. Canada and all other nations should be well aware that they cannot be more concerned about Saudi citizens than Saudi Arabia. “Therefore, the Kingdom of Saudi Arabia recalls the Ambassador of the Custodian of the Two Holy Mosques to Canada for consultations and considers the Canadian Ambassador to Saudi Arabia as persona non grata who must leave the Kingdom within the next 24 hours. 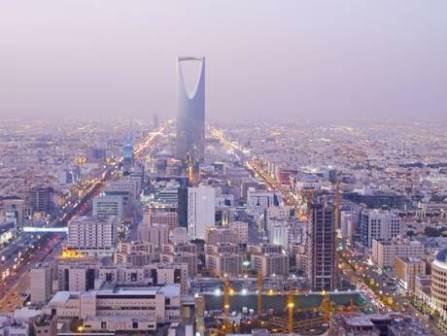 The Kingdom also puts on hold all new commercial and investment transactions with Canada while retaining its right to take further action,” the ministry said.